Cipla reported dismal 3Q with growth on the domestic front tapering after strong 2Q and operational cost at Indore SEZ continues to hamper margins. We recommend HOLD on the stock with a target price of Rs331 valuing the company at 22x FY12 earnings as scale-up of Indore SEZ is expected to be gradual (post FY12) on back of slow regulatory approvals for inhalers in regulated markets and below industry average growth rate on the domestic front. 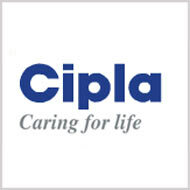 Domestic business growth disappoints Cipla reported net sales of Rs15,014mn, up 11.7% YoY, which was below estimate as domestic formulation grew by mere 1.3% to Rs7,340mn while growth on the export front at 11.9% was in-line. On the domestic front, the generic business grew by 7-8% while the branded segment grew by 11-12% YoY. Indore SEZ continues to hamper margins Cipla reported OPM of 20.5% which was impacted by operational cost incurred at Indore SEZ and lower technical know-how fees. The company is incurring Rs250mn on Indore SEZ on a quarterly basis while technical know-how fees de-grew by 78.5% YoY to Rs151mn. Key call takeaways The management expects Indore SEZ to contribute 10% of sales by Q4FY12. The company has received approvals from Australia TGA, South Africa MCC and UK MHRA 2) On Inhaler front, Cipla has commenced selling Seroflo in South Africa and expect to launch it in Russia 3) Cipla expects approval for the combination inhalers in regulated markets in next 1-2 years 4) The company is contemplating to launch some products in US on its own. VALUATIONS AND RECOMMENDATION We expect net sales and earnings to clock CAGR of 14.0% and 10.6% respectively over FY10-12E. We value stock at 22x FY12E earnings and recommend HOLD on the stock with a target price of Rs331.